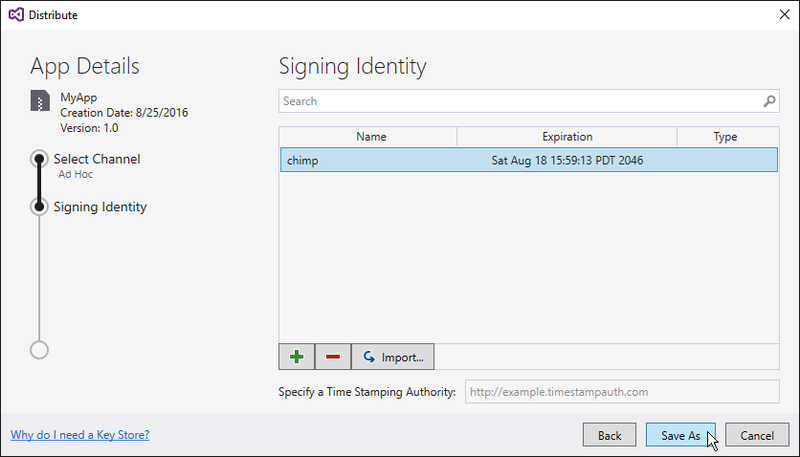 In Preparing an App for Release the Archive Manager was used to build the app and place it in an archive for signing and publishing. 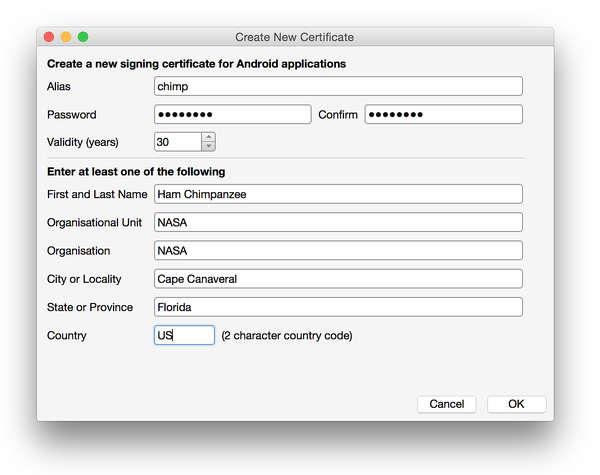 This section explains how to create an Android signing identity, create a new signing certificate for Android applications, and publish the archived app ad hoc to disk. 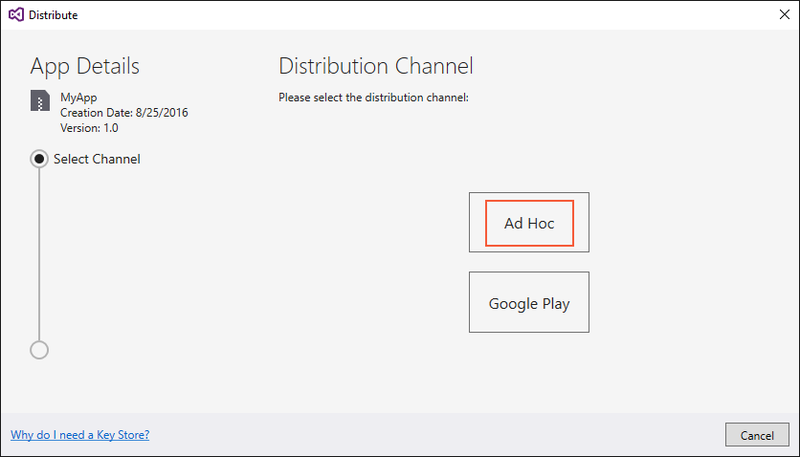 The resulting APK can be sideloaded into Android devices without going through an app store. 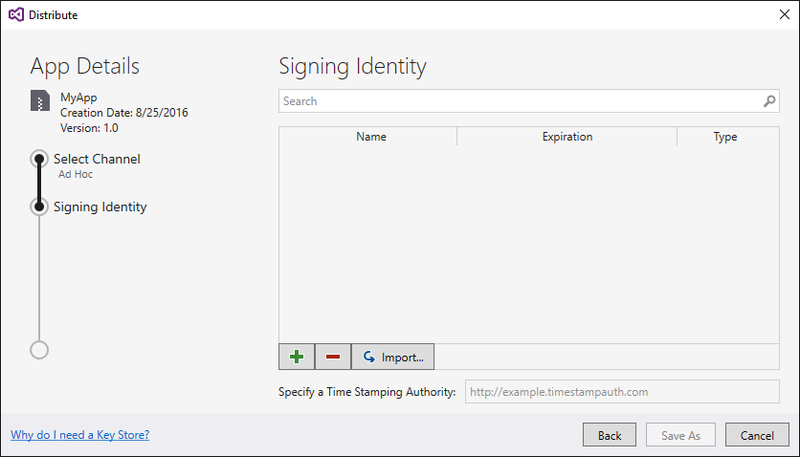 After Ad-Hoc is selected, Visual Studio opens the Signing Identity page of the dialog as shown in the next screenshot. 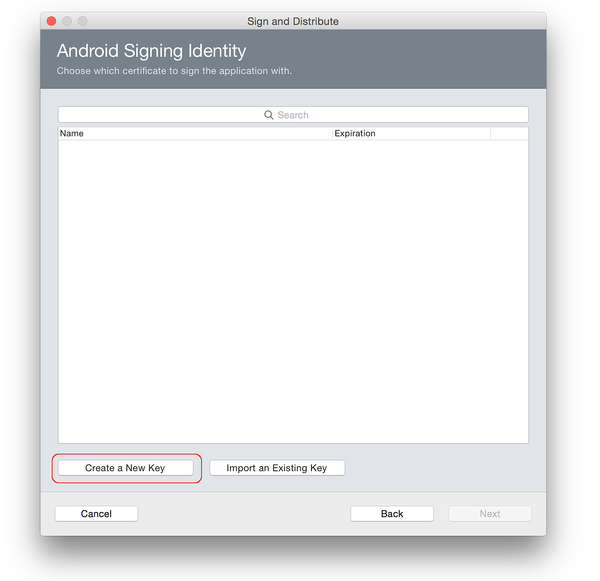 To publish the .APK, it must first be signed with a signing key (also referred to as a certificate). Be sure to back up the resulting keystore file and password in a safe place – it is not included in the Solution. 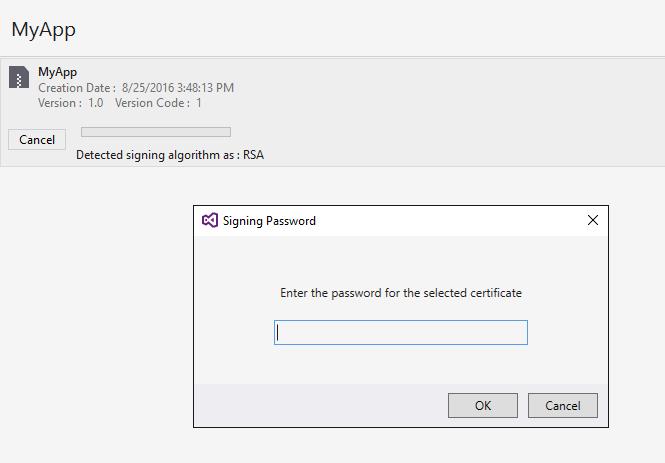 If you lose your keystore file (for example, because you moved to another computer or reinstalled Windows), you will be unable to sign your app with the same certificate as previous versions. 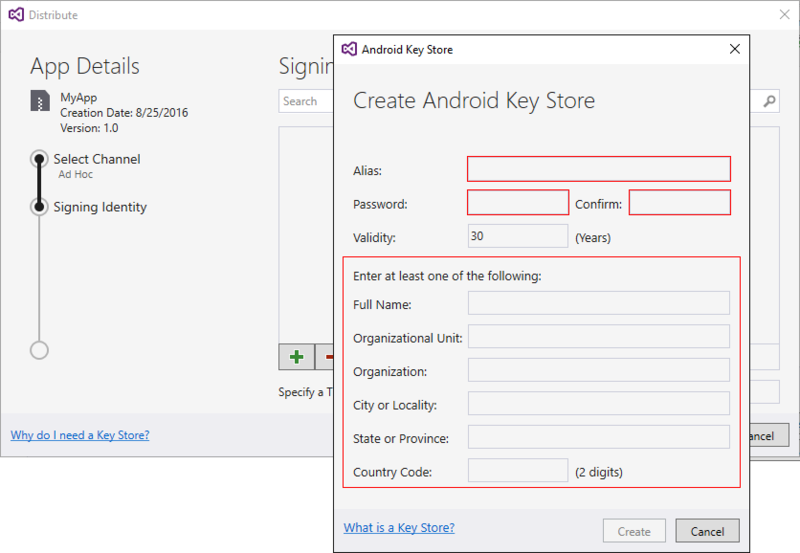 For more information about the keystore, see Finding your Keystore's MD5 or SHA1 Signature. 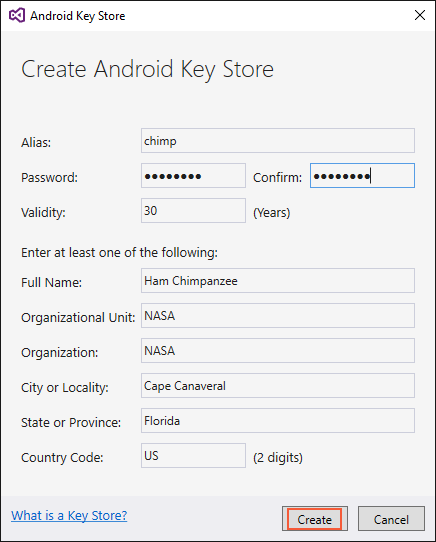 Be sure to back up the resulting keystore file and password in a safe place – it is not included in the Solution. 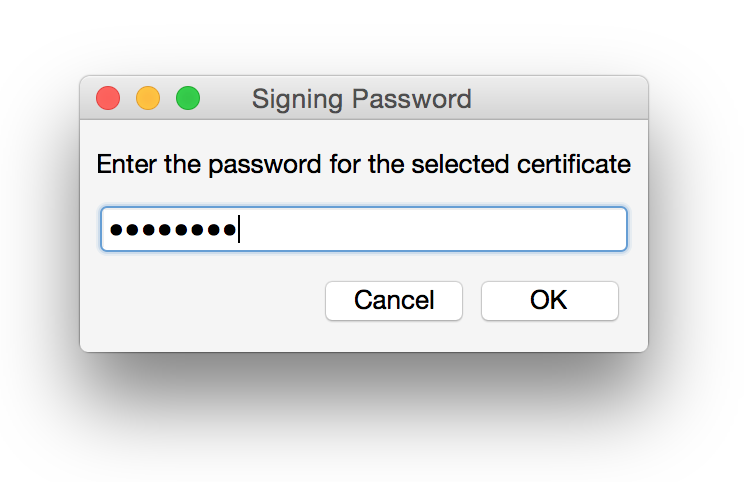 If you lose your keystore file (for example, because you moved to another computer or reinstalled macOS), you will be unable to sign your app with the same certificate as previous versions. 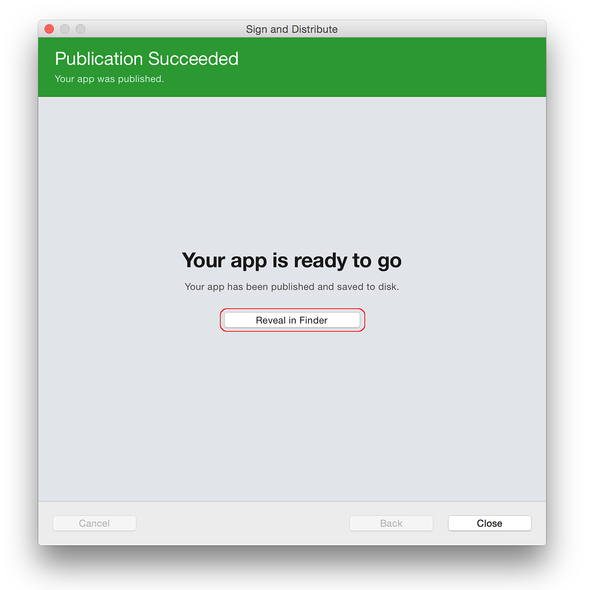 The Publish as Ad Hoc dialog provides a summary of the signed app before it is published. If this information is correct, click Publish. 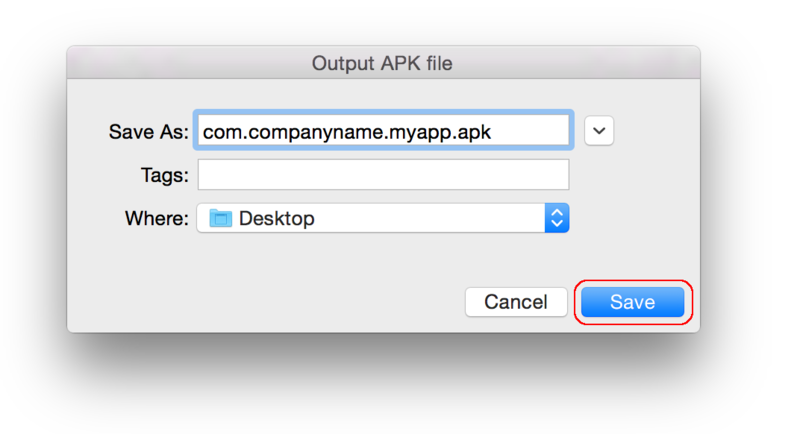 The Output APK file dialog will save the APK to the path specified. Click Save. 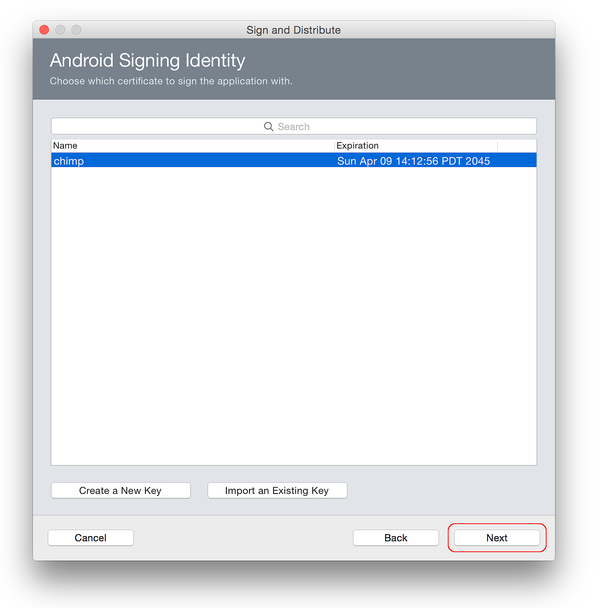 The APK is ready to copy from the finder and send to its final destination. 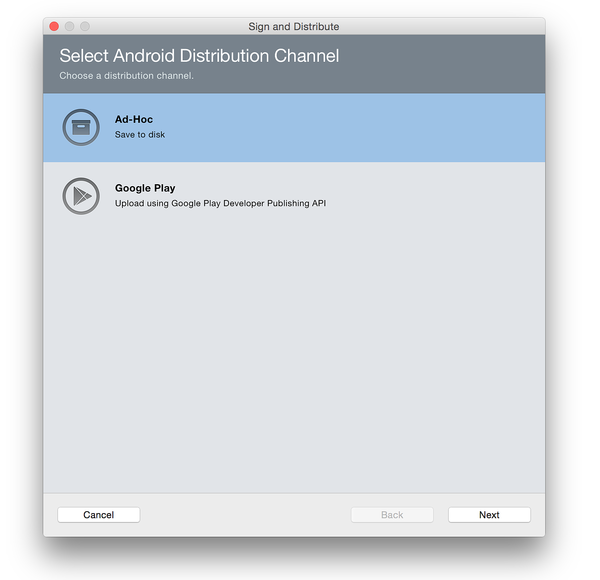 It's a good idea to install the APK on an Android device and try it out before distribution. 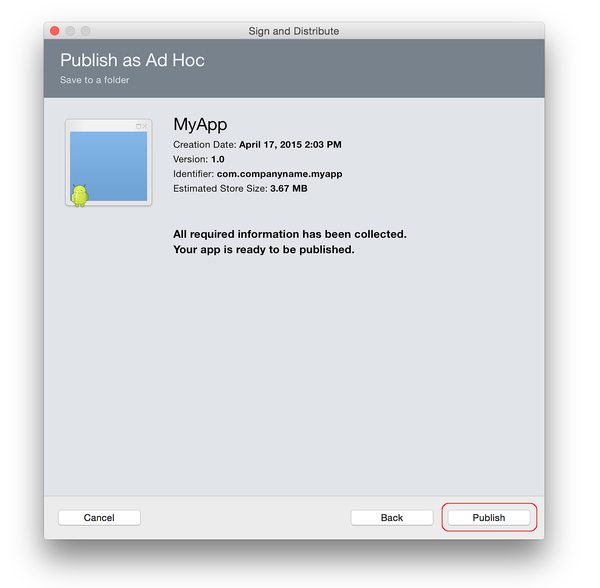 See Publishing Independently for more information about publishing an ad-hoc APK. After the application package has been signed for release, it must be published. The following sections describe several ways to publish an application.